The easy mounting to a license plate. The cable is long enough to fit any truck or sedan. The sensors can be adjusted to 5 positions. An image distortion may occur in bad weather conditions. This is an excellent parking sensor system compatible with any car model. Besides great parking options, this system allows for hitching a trailer with precise accuracy. The high accuracy of detection provides comfortable parking. The highly sensitive sensors will respond to a motion instantly. The mounting of sensors is time-consuming. These worthy backup parking sensors will be great for passenger cars. Moreover, all the necessary mounting accessories are included, and the price is very much acceptable. The adjustable parking distance from a car to a wall. A wide range of detection. Only one sensor is available. This garage parking sensor is the best option for owners of small garages. This sensor will let you park your car safely and accurately. The sensor is activated automatically when a motion is detected. The lasers are fully adjustable. Reserve a power source. The laser beam may reflect from the windshield of your car. These garage parking sensors will be great for owners of two-car garages. The system will allow you to park two cars at a safe distance one from another. A wide range of extra functions. The loudness of buzzer reaches 90 dB. The sensors blend with a bumper, so the back of your car looks nice. The display is not included and you should buy it additionally. 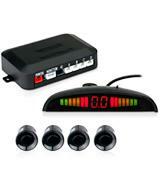 These car rear parking sensors are mounted easily and perform well even in poor weather conditions. All the components are durable and reliable. Hopkins 50002 is a parking sensor system that allows for parking both in a garage and anywhere outside. The sensors are installed on the back of your car, so you can see what is there behind you and move backward bravely. As for the mounting, it is super easy and safe. The mounting bracket with sensors should be placed behind the license plate. Then, you need to fasten the license plate with a bracket to the bumper with 2 mounting screws (included in the package). This way, no drilling or splicing is required; all you need is a screwdriver and some spare time. The efficiency of Hopkins 50002 is pretty high. 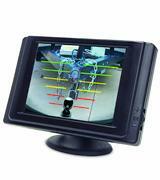 This is provided by 2 adjustable sensors that can be set to 5 positions. 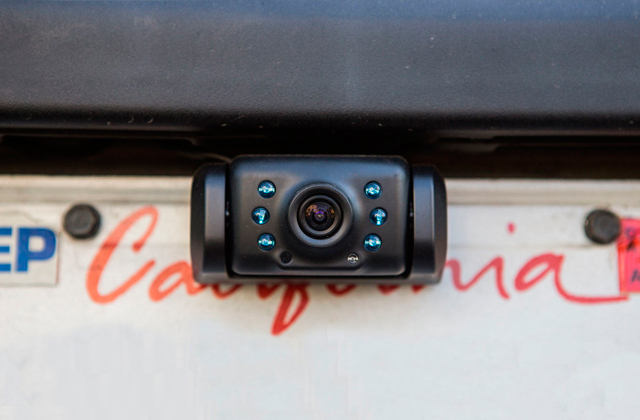 Still, the main advantage of the system is the SMART HITCH™ Camera that shows what happens behind your car and displays the objects the sensors fail to detect. 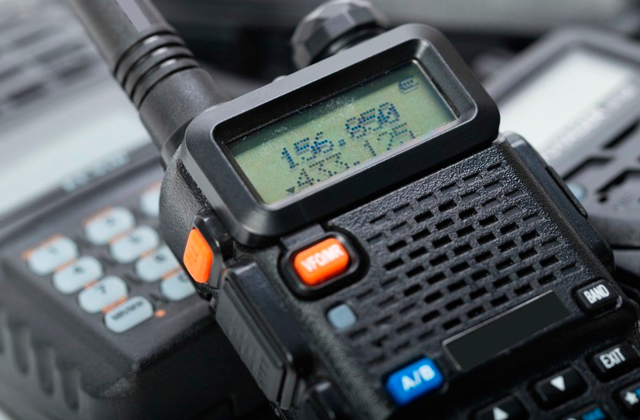 The signal is transmitted through a durable wire included in the package and comes up with a 3.5-inch color monitor which is usually mounted in a passenger compartment. Undoubtedly, this is the most advanced and accurate way of visualization. 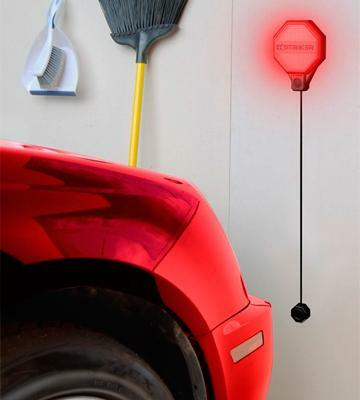 This parking sensor system determines the objects in the range from 0 to 5.5 feet and features the SmartZone™ Sensing technology: Green - 3.5 feet to 5.5 feet, Yellow - 1.5 feet to 3.5 feet, Red - 0 to 1.5 feet. Such a breakdown is very convenient, as it allows you to estimate the distance precisely and park your car carefully. 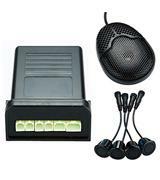 Moreover, the system is able to generate a sound signal adjustable to 4 modes - Mute, Low, Medium, and High. When it comes to features of Hopkins 50002, we should highlight two modes, Everyday and Hitch. The first mode is used for daily parking, while the second one is developed for the owners of trailers. The Hitch mode is patented, and it is able to define the positions of hitch and trailer, so that you could match them together. The modes are easily switched by a single press of the side button. 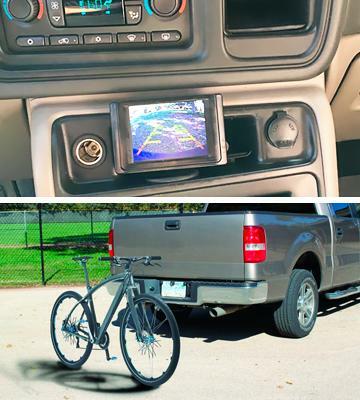 You will experience the convenience of this system as you don't have to go out of the passenger compartment to check where your hitch is; everything is going to be displayed right on the monitor before your eyes. It is worth saying that the sensors are weather-resistant too. The sensors are powered by a car battery; you just have to connect the proper wires. Esky LED Display Car Vehicle Reverse Backup Radar System is designed for mounting directly on the rear bumpers of cars. Hence, this system can be successfully used for back-in parking in garages and on the city parking lots. As regards the way of mounting, you will have to make 4 openings in the rear bumper of your car to arrange 4 sensors. In such a way, you will get a reliable parking sensor system to avoid costly collisions behind the wheels. 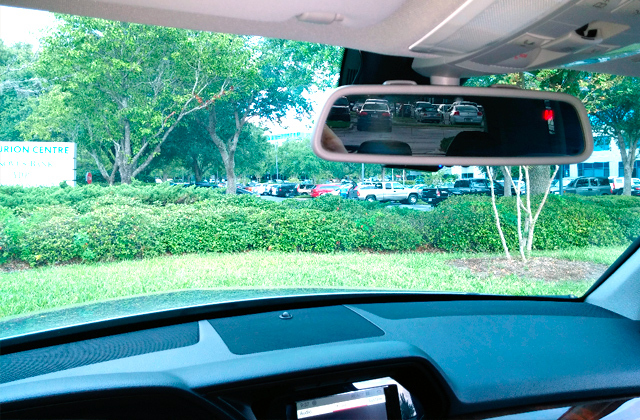 These reverse park sensors have pretty high efficiency and will be great for any car. 4 sensors will ensure timely detection of obstacles behind your car and consequently make parking safer and more comfortable. The sensors transmit the signal to the digital control box via a cable, so the connection is highly reliable. The detection range of the system is 0.1 ~ 5.0 feet, which is a pretty good index in comparison with its competitors. The colored LED digital shows the distance between your car and obstacles precisely. In addition, the system includes a high-volume warning buzzer, and the closer an obstacle is approached, the louder it sounds. The main feature of this parking system is the advanced control box that provides quick signal receiving and processing. Moreover, we can mention that sensors are moisture-resistant, so they can work well even in bad weather conditions. 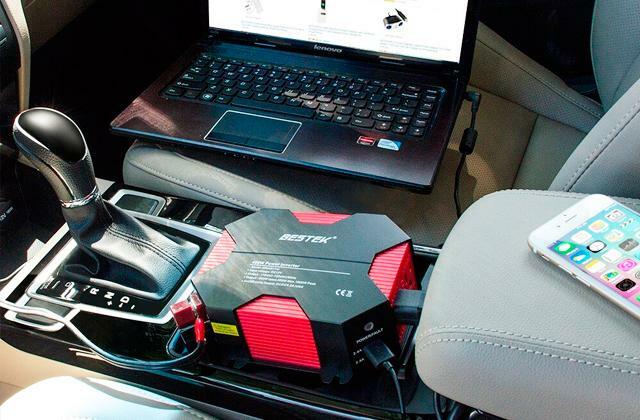 The Esky system is connected to the power system of your car, which is commonly recognized as most widespread and reliable power source, introduced to most modern car parking systems on the market. 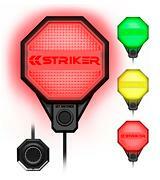 Striker Adjustable Garage Parking Sensor is designed for use only within garages. The sensor is mounted on a wall, so you should do head-in parking only. The mounting is very easy; the sensor comes with a double-sided adhesive tape and a velcro for convenient sensor attachment to a wall in your garage. The mounting procedure is also pretty simple. All you need to do is mount the sensor to the front part of your car at the bumper level. Then, install a signal light so that you could see it from the car. Finally, park your car in the desired place and press the set button. Done! Despite the fact the sensor is only one, it is rather effective and will allow you to park your car safely. The sensor is connected to the control unit via the wire, so a connection is reliable and excludes system failures. This garage parking sensor is able to detect the position of your vehicle in the radius from 0.5 to 6.0 feet. The sensor works similarly to a traffic light: when you have a lot of space to go, the sensors glow green; the span from green light to yellow is 7.5 feet. The range from yellow light to red is 1.25 feet, and the distance from the red light to your car can be adjusted from 6 inches to 6 feet long. The red light indicates that you need to stop the motion. The easy mounting and quite simple settings are the main distinguishing features of this garage parking sensor. In addition, we should highlight an adjustable detection range and color indication. All these properties provide comfort when you park your car in a garage, so you can recommend this sensor to your friends. The power supply is provided by 4 АА batteries. Hence, the sensor is able to work without the connection to 220V. MAXSA Innovations 37312 are the vehicle parking sensors intended for parking indoors and are particularly great for garages. 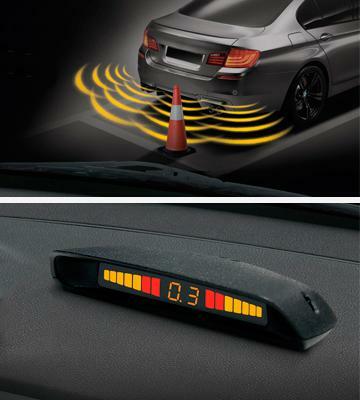 The sensors are designed so as to detect your car when you park head-in. 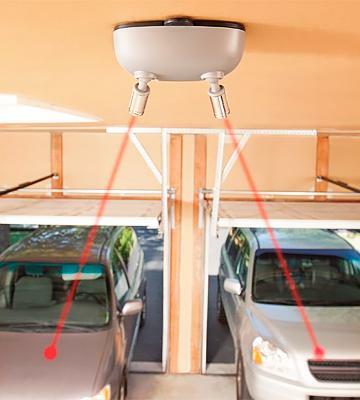 The sensors should be attached to the ceiling of your garage. 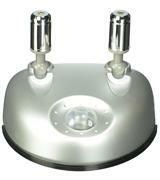 The mounting is easy, since the package includes the mounting screws and anchors. So, you need a screwdriver with the appropriate nozzles to tighten the screws and get your sensors mounted. MAXSA Innovations 37312 is pretty effective that is evidenced by 2 laser sensors. The sensors are built into the body and feature a wireless signal transmission. The detection range of the sensors is 15 feet, and the laser beams can be adjusted from 0 to 130°. The sensors activate automatically, once your car enters the garage and emerges in the detection range. Park your car wherever you like but make sure to remember the place where a laser beam has hit. This way, you'll know exactly when and where you'd need to stop the car next time you drive in the garage. The main feature of these parking sensors is the opportunity to use them for parking of 2 cars at a time. This is very convenient since you don't have to buy sensors for each car. Furthermore, the sensors activate and deactivate automatically, so the power consumption is reduced considerably. The sensors are powered by electricity via 6V AC adapter. In case if the power network fails, 3 AA batteries will serve as a back-up power, so the sensors are always ready to help. These car rear parking sensors will be effective for parking in the street, though they can be used for parking in a garage as well. Steelmate Ebat C1 are mounted on the rear bumper since they are reverse park sensors. The sensors are fixed to the bumper through pre-drilled holes, and they don't project out of the bumper and blend with its shape. The sensors should be installed at a height of at least 17 - 23 inches from the ground so as to prevent transmission of false signals. In general, the mounting is easy and will not take much time. These backup parking sensors are quite effective and provide comfortable parking, protecting your car from undesired damage. This is provided by 4 sensors connected to the electronic control unit. 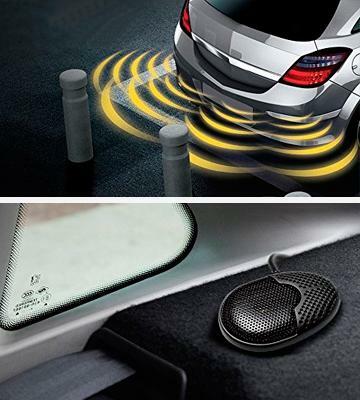 Such a system provides good reliability and is the most widespread among the manufacturers of parking sensors. The sensors are capable of detecting objects in the range from 0.3 to 5.0 feet. This range is large enough to timely detect an obstacle and stop the motion. 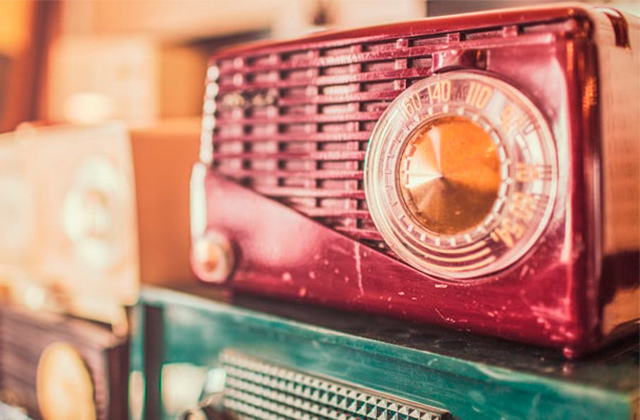 When the distance is too short, the buzzer speaker will give an audible signal. 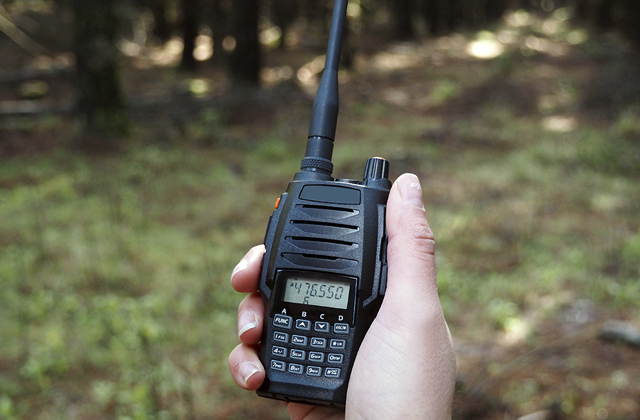 The signal power is 70 - 90 dB, so you will always hear it when you need to stop. This parking sensor system allows for visual indication too, however, you will need to buy a digital display to get it work. The self-test function is the first thing to state in the features of this parking system. This function means that the system will check the operability of sensors and connections each time before you start it. In such a way, this function precludes the system failure. The Anti-false alert technology prevents false signals that may occur in bad weather conditions or/and while driving on rough, bumpy roads. The sensors are waterproof and hence, are not vulnerable to the rain or snow. The sensors get their power from the 9 -16V DC car battery. What is a Parking Sensor? 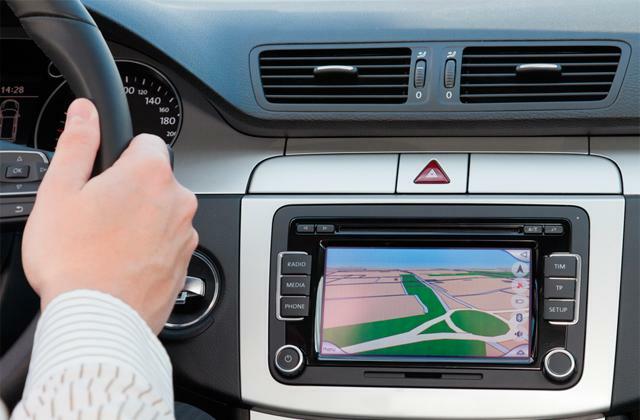 The development of innovative technologies gives rise to a multitude of devices called to make the life of motorists easier. The parking sensors have gained incredible popularity among these devices. A parking system usually includes an electronic unit, detection indicators, and ultrasonic or electromagnetic sensors. These components allow you to safely park your car in a garage or in any confined space. Thus, the parking sensors will make riding safe and help you protect your car from damage. This review represents the best parking sensors and their key characteristics to pay attention to. If you need a tool to lift your car for a wheel change or some repairs, we recommend you to consider car jacks. And if you often leave your car open-air, you surely need to check on the car covers review. When you face choosing the parking sensors, you need to consider their type and mounting location. All parking sensors may be divided into car (installed directly on vehicles) and garage (installed in garages to facilitate parking). You should consider the type of sensors based on your needs. Once you decide on the type, you should proceed to a mounting location. It largely depends on the type. Garage parking sensors may be installed on garage walls or ceiling, depending on the configuration. As regards the car parking sensors, some of them may be mounted on a rear bumper, and this type is the most widespread. 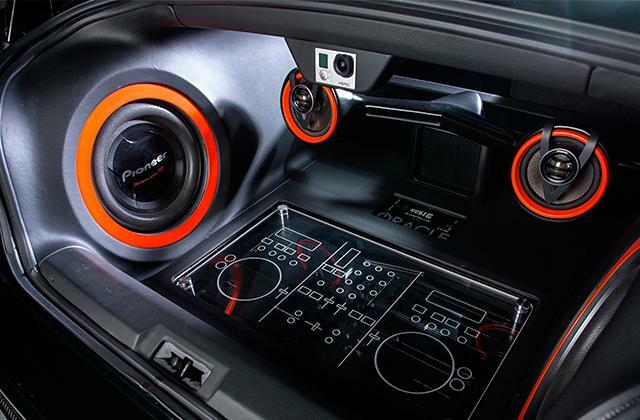 The others may be installed on a front bumper; they feature the input for speed sensors, and it allows them to shut off when the speed is over 20 km/h. The combined parking sensors are installed on both bumpers; such sensors are usually more pricey. The method of mounting is also important. The garage parking sensors are normally fixed with double-sided adhesive tapes, and this way of mounting is convenient, since there’s no mess with drilling the holes. The car parking sensors are commonly fixed with mounting screws and anchors to front or rear bumpers and license plates. You should remember that sensors should be installed at least at a height of 45 cm to exclude detection of items on the road surface. The efficiency and notification are the next important features in choosing the parking sensors. The efficiency depends on the number of sensors. Its clear, the more sensors there are, the less blind areas and the better detection will be. You should pay a special attention to the parking systems that include at least 4 sensors. In addition, check on the way of a signal transmission from a sensor to the control unit; it can be wired or wireless. The wired signal transmission is typical for car parking sensors, while the wireless transmission is incidental to garage sensors. Also, consider the detection range, i.e. the distance before a car and an obstacle you should be aware of. The detection range from 0 to 6.0 ft is regarded as the optimal, and a breakdown of the range into 3 areas is benefiсial. The warning and indication system of parking sensors is crucial. Currently, 4 warning systems of parking sensors exist: a sound signal, an image, and a light signal. Let’s describe each one by one. 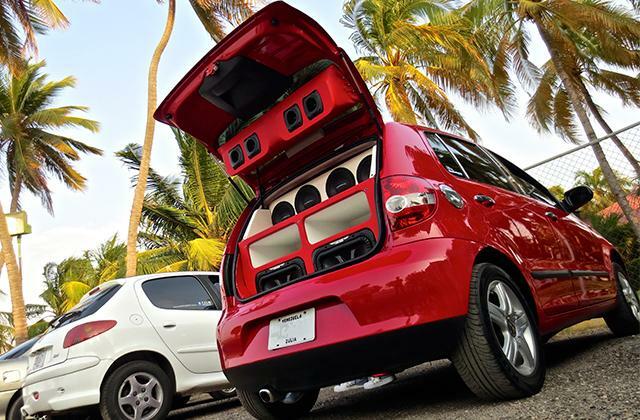 The closer your car approaches an object, the louder the sound signal is. The systems with LED displays changes either its color or the visual scale, depending on the proximity. 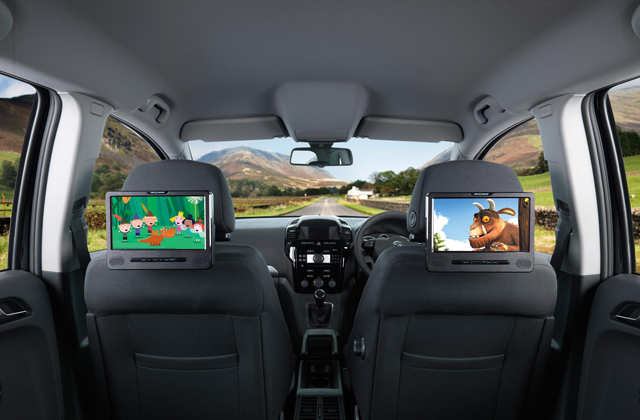 LCD displays show the full picture of the environment behind your car, and they are usually accompanied by backup cameras, hence such systems are higher in price. The parking sensors with light signals are alike to traffic lights; the light changes its color depending on the distance to an object. Some parking sensors feature laser lights, indicating the distance where your car is about to stop. The features and power supply are the last things to consider when you buy parking sensors. Here we should highlight the function of self-diagnostics. This function means that a parking system performs a diagnostics of all sensors and wiring before each start, otherwise sensors may malfunction. Some sophisticated parking systems are able to determine the distance to an accuracy of a millimeter; that property is usually used for precise hitching of trailers. 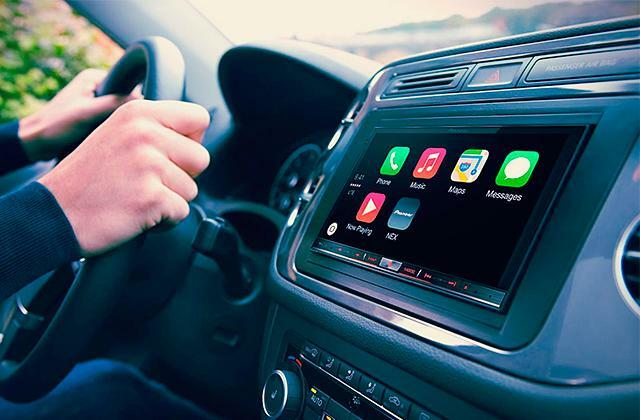 Another useful feature is the technology that prevents the false warning caused by an echo effect; that may happen in bad weather conditions, during parking on a rough road surface or in a closed space. What is more, the sensors should be dust- and waterproof, in particular the bumper-mounted models. Finally, we consider the power source of parking sensors. Garage parking sensors are generally powered by electricity supply via AC adapters, yet some models can be powered by conventional АА batteries. The sensors with both types of power will be the best option, as the batteries are used as a reserve power source. As for the car parking sensors, they are usually powered by car batteries.